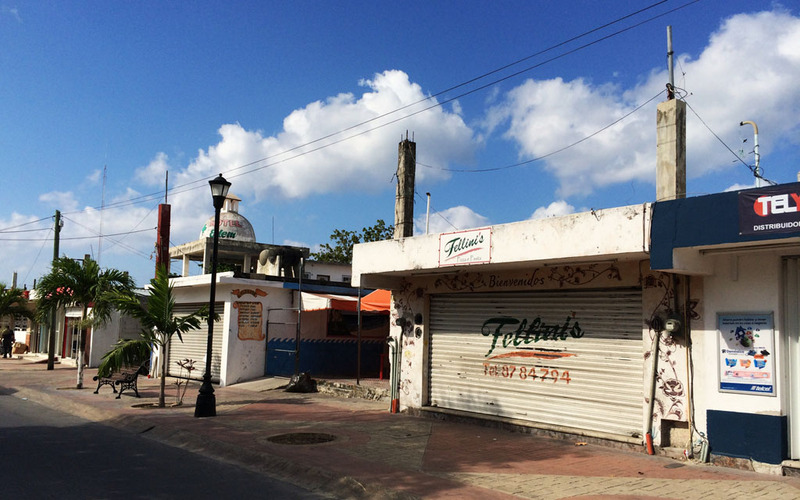 After the buzzing scene of Playa del Carmen, Nick and I were unsure of what we were going to find on the island of Cozumel. Having been to the island some eight years before on a passing cruise ship, Nick recalled that the island had been a highly popular spot for cruise ship passengers. Still to this day Cozumel is an extremely popular stop for cruise ships, in fact it is not uncommon to see five or so of them docked at the one time. However arriving into San Miguel (the islands main town) on a sunny Sunday afternoon by ferry, Nick and I were absolutely delighted by what we found. Surprisingly quiet streets and a far more local scene than we had anticipated. Checking into our hostel we were reminded by the guy on reception that it was Sunday, the day of rest for many of the locals, who close their shops to go to church and spend time with their families. 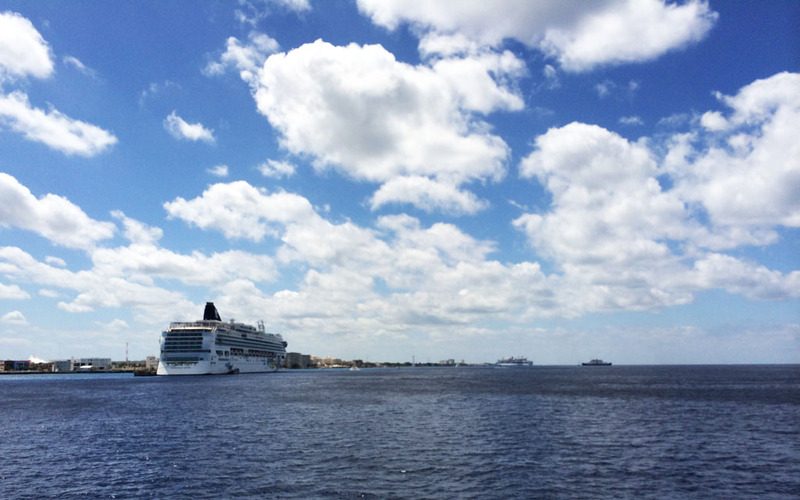 There was also only one cruise ship docked for the day. After dropping off our bags Nick and I walked north along the island’s western sea wall, passing as we wandered groups of people eating, swimming, fishing and by the looks of it generally having a good time. 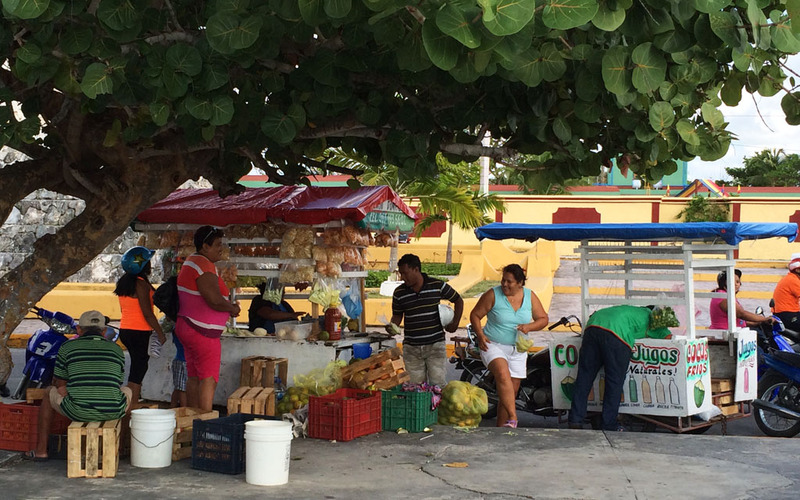 Having walked past several people eating juicy mangoes we stopped at a local fruit cart. A cheerful woman sat inside cutting and dicing up all kinds of colourful and exotic looking fruit. 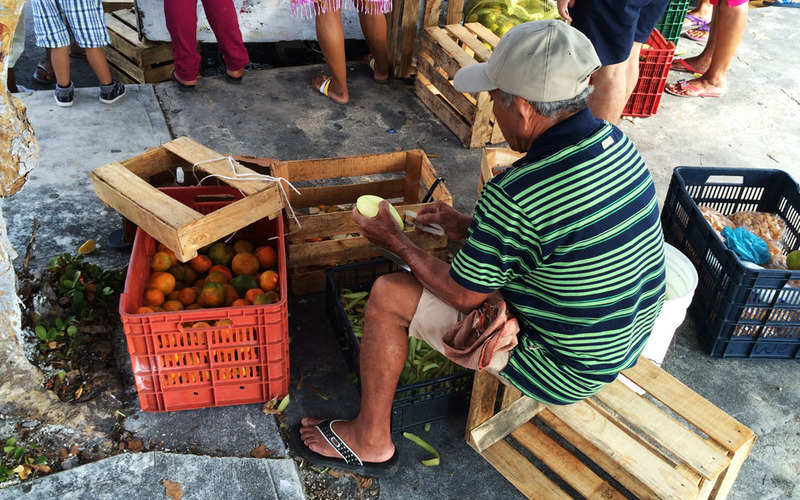 In front of the stall sat a man (the woman’s husband perhaps), on a wooden crate peeling buckets of deliciously ripe mangoes. Fresh, peeled and sold by the bag ($1.50 each!! ), we bought mangoes, mandarines, and a bag of what Nick and I call ‘mystery fruit’. We still haven’t figured out what exactly it was, but it had the crunchy texture of an apple and when cut up it looked like a gigantic cucumber without the seeds. 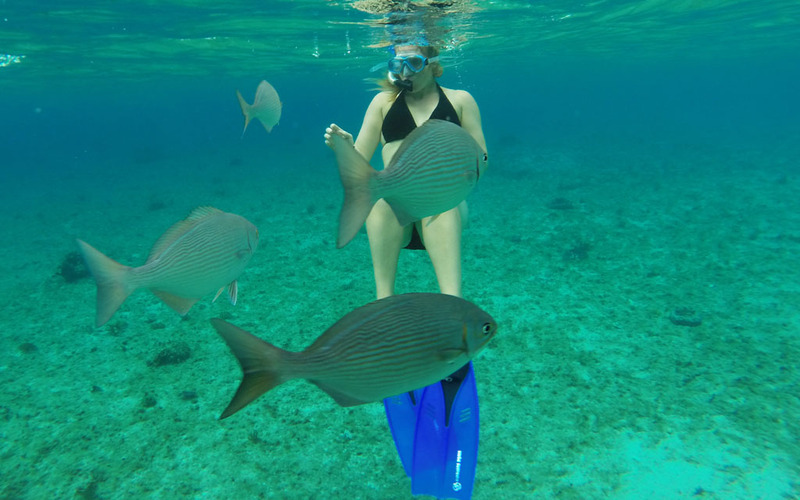 Famous for its coral reefs and water sports (diving, snorkelling and deep sea fishing), Cozumel is home to the world’s second largest barrier reef, as well as stunning scenery, a rocky coastline, gorgeous beaches and turquoise crystal clear waters. 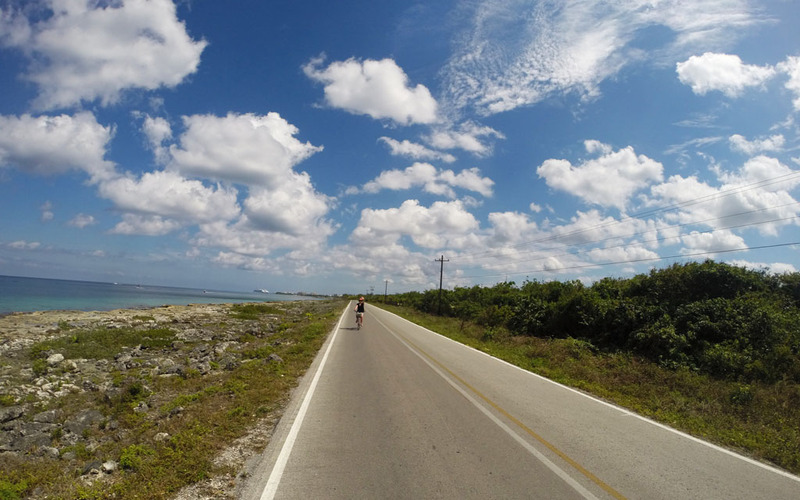 Wanting to see more of the island and snorkel along Cozumel’s reef at Playa Palancar, Nick and I hired bikes and rode some 20km’s there and 20km’s back! While Playa Palancar offered warm clear waters and a beach club (restaurant, bar, sun chairs and diving centre), Nick and I both preferred swimming along the Dzul Ha reef, located 10km’s south of San Miguel rather than Playa Palancar’s 20km’s. Only discovering the Dzul Ha reef on the ride back to to San Miguel, I can say in all honesty that the ride to and from the Dzul Ha reef is far more leisurely than the one to Playa Palancar. The snorkelling is also better! Nick and I were truly amazed by the amount of fish, other sea life and the colourful coral formations we saw. To access the Dzul Ha reef, one must walk through the Money Bar Beach Club. Usually I am one to avoid such places (especially with a name like Money Bar), but as I said the snorkelling is fantastic and the ambience of the beach club, unlike others along the coast, is super relaxed. There’s also a restaurant, a line or two of sun chairs, a few hammocks and that’s about it. Like other beach clubs Money Bar does not charge for the use of their sun chairs, or other facilities, with the deal being that you buy a drink or meal from the restaurant. While I don’t believe riding all the way to Playa Palancar is necessary, I do recommend hiring bikes as they are a great way to see and explore the island. Alternatively, you can hire a car and drive to the south eastern side of the island, where I have heard the snorkelling is phenomenal. Apart from the spectacular snorkelling, Nick and I also enjoyed many delicious meals on Cozumel. We made a point of finding local eateries, usually tucked away in the back streets of town where the food was reliably cheap, fresh and delicious. In doing so our day would often start with tacos and end with tacos. 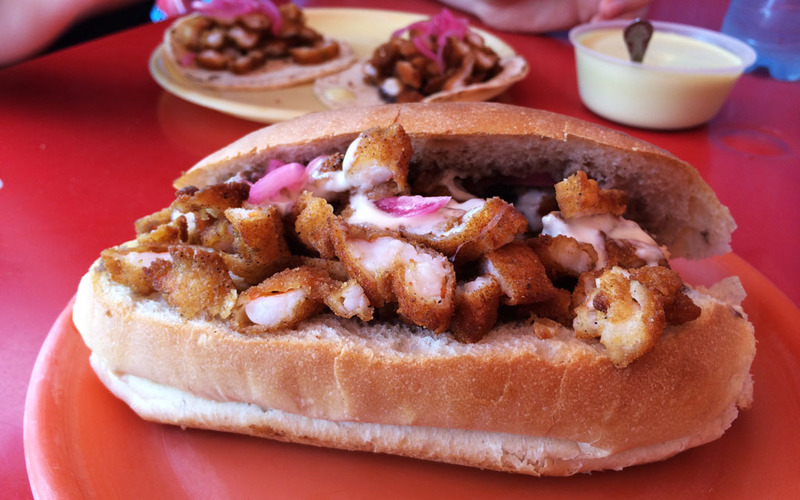 My favourite dish on the island however was the breaded shrimp tortas (sandwiches) from Taqueria El Sitio. Absolutely delicioso! Like other local joints not much English was spoken here, though Nick and I found that with a little gesturing, pointing and broken Spanish, all was understood. We’ve actually found this to be the case with most of our encounters. 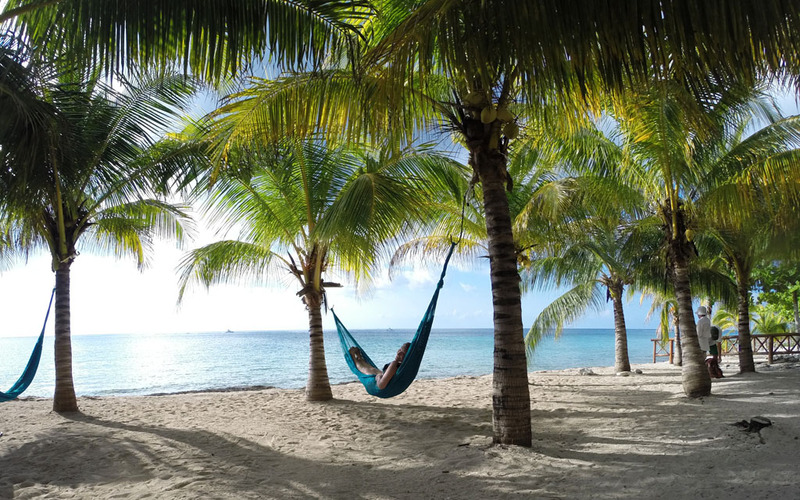 Overall Nick and I found Isla Cozumel to be a warm and welcoming place, where the scenery is spectacular, the Coronas are ice cold and the smiles huge! Perfect for the budget conscious traveller, laid back Hostelito offers both dorm and private rooms. Be sure to try the shrimp tortas at this mornings only food stand. Freshly baked goods, need I say more. Located next to Hostelito, Frenchies serves pots of golden french fries with a range of delicious toppings. 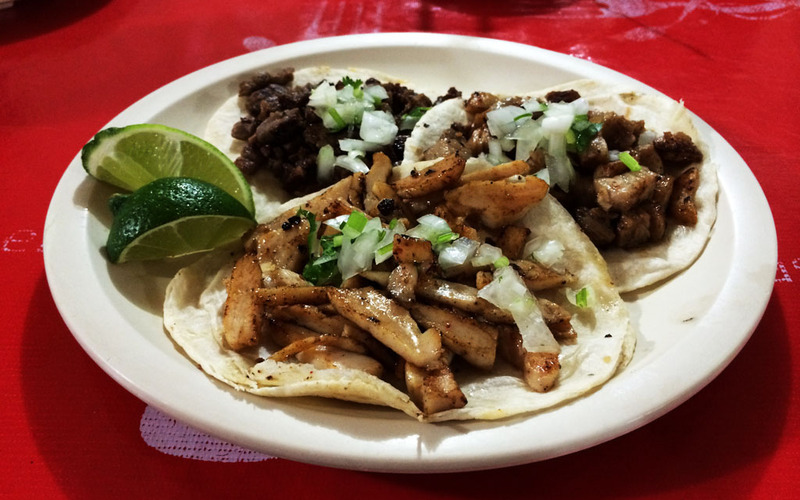 Local taqueria with excellent tasting tacos! Located 10k's south of San Miguel this beach bar offers guests great snorkelling and relaxed atmosphere.